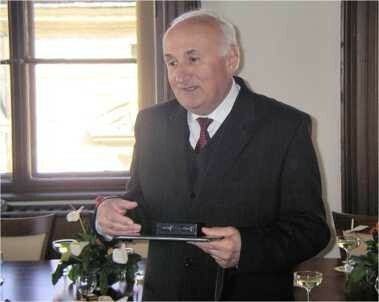 On 12 January 2012, Ivan Kiguradze has celebrated his 75th birthday. A prominent expert in the qualitative theory of differential equations, Professor, Doctor of Science, Academician, he is highly esteemed by his colleagues throughout the world. The ideas and methods due to him are now extensively used. In particular, Kiguradze’s lemma, the Kiguradze inequality, Kiguradze classes, and the Kiguradze problem are often encountered in the literature. Ivan Kiguradze was born in the village of Khidistavi located in the Chokhatauri Municipality in the Guria region of Georgia, where he graduated from the secondary school with a gold medal awarded in 1955. In 1960, he received his university degree at the Faculty of Mechanics and Mathematics of the Tbilisi State University, where he had been a faculty member then (as an Assistant Professor since 1968 and as a Full Professor since 1973). He entered postgraduate courses at the Chair of Differential and Integral Equations of the Tbilisi State University. In 1963, he obtained a PhD degree, and in 1972 he became Doctor of Science in Physics and Mathematics. Professor Kiguradze’s scientific carrier has always been closely related to the I. Javakhishvili Tbilisi State University and Georgian National Academy of Sciences. Since 1963 till 1989, he had been working at the Tbilisi State University and, since 1973, headed the Department of Ordinary Differential Equations of the Vekua Institute of Applied Mathematics. He was elected a Corresponding Member of the Georgian Academy of Sciences (now Georgian National Academy of Sciences) in 1979 and became Academician in 1993. In June 1989, Professor Kiguradze was elected the Director of the A. Razmadze Mathematical Institute of the Georgian Academy of Sciences (now A. Razmadze Mathematical Institute of I. Javakhishvili Tbilisi State University), and he held this position till June 2006. Since 2001 he has been holding a post of a head of the Department of Ordinary Differential Equations at that institute. Since 1973 till 2006, he has also been a Professor of the Chair of Differential and Integral Equations at the I. Javakhishvili Tbilisi State University. 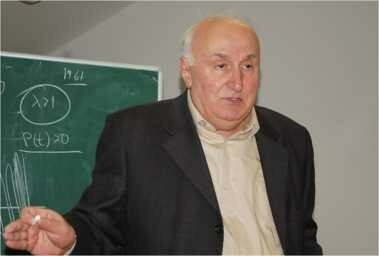 Professor Kiguradze has always made many efforts and devoted much energy to pedagogical activities. 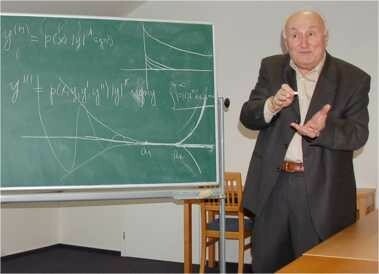 For more than 40 years he has been teaching general and special courses on ordinary differential equations at the Tbilisi State University, 24 postgraduate students obtained a PhD degree under his supervision. He is actively involved in editorial activities: apart of the membership in the Editorial Boards of several international journals, he is the founder and Editor-in-Chief of Georgian Mathematical Journal and Memoirs on Differential Equations and Mathematical Physics. Professor Kiguradze’s scientific interests cover a wide range of topics belonging to qualitative theory of ordinary and functional-differential equations. They are mainly related to the following three directions: (1) boundary value problems, (2) asymptotic theory, and (3) oscillation theory. Below we try to give a brief survey of his results. ♦ multipoint and nonlocal problems (together with RP Agarwal, T Kiguradze, A Lomtatidze, and N Partsvania) , , , , , , . Kiguradze together with RP Agarwal developed a new method for investigation of boundary value problems for differential equations with strong singularities with respect to the time variable, on the basis of which he obtained unimprovable conditions for the solvability of the Dirichlet and focal boundary value problems for higher-order strongly singular linear, quasi-half linear, and nonlinear differential equations , , . For nonlinear differential equations with singularities with respect to phase variables, Kiguradze established optimal sufficient conditions for the solvability of the Cauchy problem , nonlocal problems ,  and periodic type problems . Kiguradze established inequalities of the Kolmogorov-Gorni type for monotone functions, on the basis of which sharp conditions for the solvability of the Kneser problem for nonlinear differential equations were found and asymptotic estimates for Kneser solutions were proved , , , . Together with I Rachůnková he obtained complete results on the solvability of the Kneser problem for two-dimensional differential systems . Moreover, he obtained necessary and sufficient conditions for the existence of Kneser solutions blowing-up and vanishing at infinity for higher-order nonlinear differential equations with singularities with respect to the time and phase variables, as well as global two-sided estimates for such solutions , . On the basis of the technique of a priori estimates and generalization of the notion of lower and upper Nagumo functions for differential systems, Kiguradze and his students completely studied a wide class of problems with nonlinear and nonlocal boundary conditions , , , , , , , , , , , , , , . In particular, he proved the solvability of these problems for nonlinear differential equations and systems with right-hand sides rapidly increasing with respect to the phase variable, introduced the notion of a strong isolated solution of a nonlinear problem, proved the stability of such a solution under small perturbations of the differential system. Together with T Kiguradze he also obtained unimprovable sufficient conditions for solvability and unique solvability of nonlocal boundary value problems for higher-order nonlinear partial differential equations of hyperbolic type . 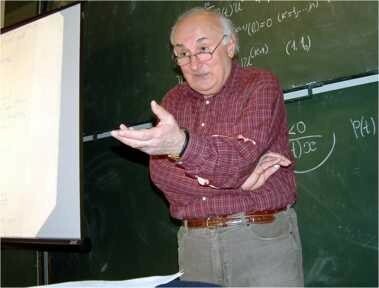 Kiguradze proved the general theorem on the solvability of a nonlinear operator equation in the Banach space (so-called principle of a priori boundedness), on the basis of which he established abstract analogs of the well-known Conti-Opial type theorems in the theory of differential equations . ♦ together with T Kusano, A Lomtatidze and S Baslandze he established unimprovable sufficient conditions for the existence and uniqueness of periodic solutions of higher-order nonlinear nonautonomous differential equations , , , , , , , . Attempts to find criteria for the existence of so-called proper solutions of strongly nonlinear differential equations led Kiguradze to boundary value problems on a semiaxis with integral conditions, whose theory was developed in , , . Some of the above-mentioned results, dealing with boundary value problems, were summarized in the monographs , ,  and the surveys , , well known to specialists and often used by them. ♦ optimal, in a sense, conditions for the Fredholm property and unique solvability of two-point boundary value problems for higher-order linear differential equations with strong singularities, as well as conditions for the stability of the solutions under small perturbations of the right-hand side of the equation , . Together with S Gelashvili he found sufficient conditions for the unique solvability of multipoint boundary value problems for systems of functional-differential equations, and constructed stable finite-difference schemes for the numerical solution of such problems . ♦ an analog of the Fredholm theorem for the so-called semilinear boundary value problems, which implies, in particular, sharp integral solvability conditions of a two-point boundary value problem for semilinear second-order singular differential equations . 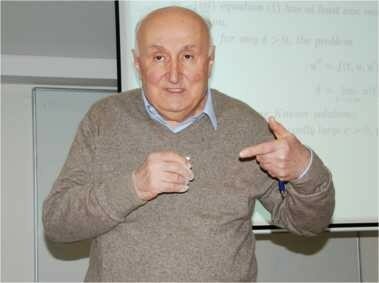 From the 1960s to the beginning of the 1990s Kiguradze and his students (T Chanturia, G Kvinikadze, D Izjumova) studied the asymptotic behavior of solutions of nonautonomous ordinary differential equations including equations with power nonlinearities of the Emden-Fowler type. Kiguradze constructed a transformation that reduces a second-order Emden-Fowler equation to an equation with almost constant coefficients and developed a technique for the study of the latter. This method allowed him to derive asymptotic formulas for an arbitrary proper solution of the general Emden-Fowler equation both in the oscillation and nonoscillation cases , , . For second- and higher-order strongly nonlinear differential equations, Kiguradze proved the existence of singular solutions of the first and the second kind and proper solutions of various types (bounded, vanishing at infinity, slowly increasing, rapidly increasing, etc.) and established asymptotic estimates for such solutions , , , –, . For linear equations, he established asymptotic representations of solutions ,  and solved the Bernatskii problem on the dimension of the space of solutions vanishing at infinity . For the Emden-Fowler type two-dimensional differential system, Kiguradze together with M Cecchi, Z Došlá, and M Marini obtained optimal conditions guaranteeing the existence of positive solutions of two-point boundary value problems. On the basis of this result they proved the theorem on the existence of blow-up solutions of the above-mentioned system and obtained asymptotic estimates of these solutions . Kiguradze’s studies played a distinguished role in the development of the theory of oscillations of differential and functional-differential equations. He developed in some sense final criteria for the oscillation of solutions to linear differential equations and differential equations of the Emden-Fowler type , , , , . For nonlinear equations of higher order, Kiguradze suggested the construction of a first-order equation the absence of whose proper solutions results in oscillation property of the original equation. The sufficient criteria of the oscillation property thus obtained are necessary for a wide class on nonlinear differential equations , , , , , , , , , . We must especially point out Kiguradze’s theorems related to the existence of proper oscillatory solutions of essentially nonlinear differential equations , . These are the results that bring the theory of oscillations into a complete form. The most of the results by Kiguradze and his disciples on the asymptotic and oscillation of solutions of nonautonomous differential equations were summarized in his monograph  written jointly with T Chanturia and translated into English . ♦ together with Z Sokhadze he established a priori estimates of solutions of systems of functional-differential inequalities appearing in the theory of boundary value problems, as well as in the stability theory. On the basis of these estimates, they obtained new sufficient conditions for the boundedness, uniform stability, and uniform asymptotic stability of solutions of nonlinear delay differential systems . 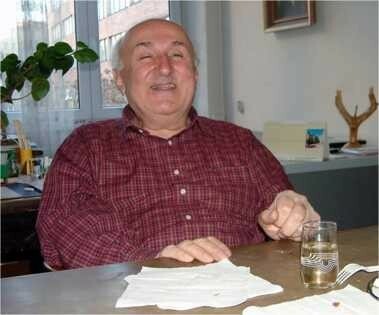 On behalf of many his friends and colleagues all over the world, let us wish Professor Ivan Kiguradze good health, a long life, and new inspiration and creative success.